A-tisket, a-tasket, a happy yellow basket! 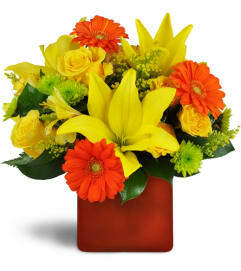 Send some sunshine to brighten anyone's day! 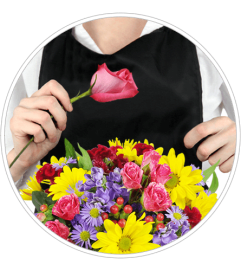 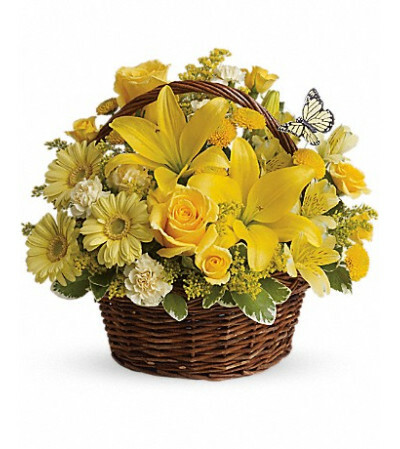 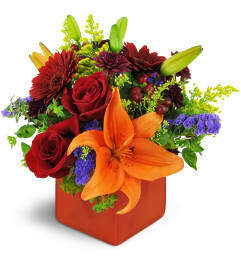 This basket includes lilies, gerberas, roses, button spray chrysanthemums, and carnations.